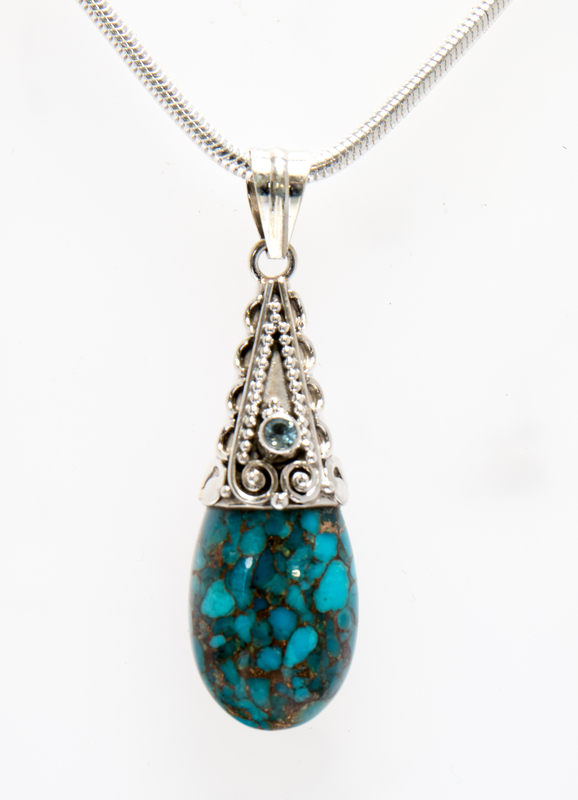 Mojave turquoise teardrop and ornate sterling silver set with a small blue faceted cubic zirconia. Mojave turquoise is created from natural turquoise mixed with copper or bronze metals, compressed, stabilised and, usually, coloured. .
Clean jewellery regularly with a silver polishing cloth to prevent the build up of damaging tarnish. The stones can be wiped clean with a damp cloth. Do not immerse in liquid, this may damage or loosen the stones.